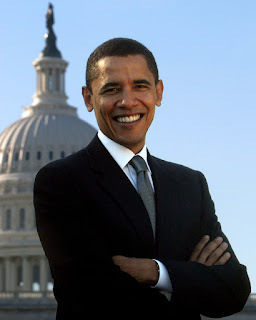 I think today is one of those days when you will remember exactly where you were at a certain time, the moment Barack Obama became President of the United States of America, the first black man to do so. It was an historic moment, and one I was glad to see come to pass. I was at work, sitting at my desk watching it live on CNN, but my computer doesn't have speakers, so I turned my radio to 680 news and listened to it on that. They were about 45 seconds apart, but I didn't care, I could see it, hear it, and I felt part of the moment. The world is in a mess right now; war, the economy, global warming. Other countries look up to the United States, and that has been hard to do for the past few years. With this new leader who is all about unity and hard work, I believe that may be able to happen again, and that will be good for the world as a whole. I would of been proud to be an American today.